While in Uganda in February, with Pastor Arthur Magezi, we held a seminar for the new church plant pastors from Transform Uganda. Pastor Marc Andresen, who traveled with me, was teaching inductive bible study methods using the book of Nehemiah. His great emphasis to the pastors was the area of observation. We noticed, while he taught, there was an older man who would intensely read his bible to study and follow the lesson. Yet, his bible, was tattered, well worn, pages falling out. 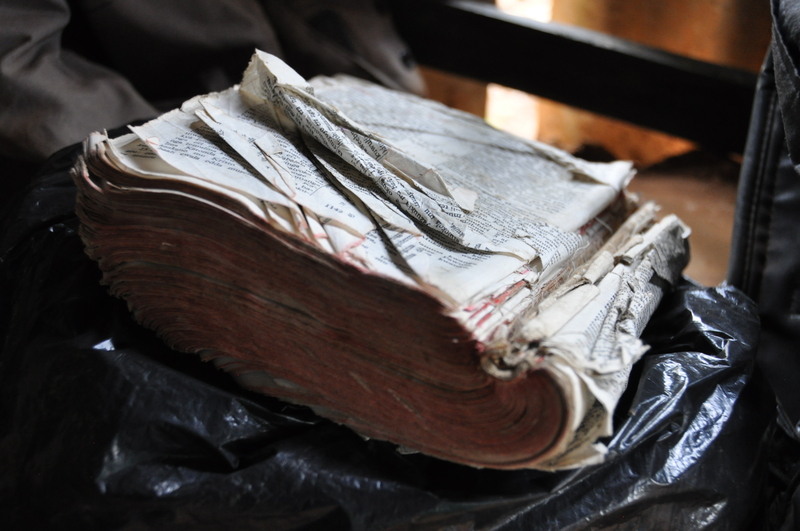 His bible was yellowed, no longer had a front or back cover, and so weathered and marked it was difficult to read. It was clearly, a book that he devoured, studied, and read often and constantly. To Marc and myself, we discovered a few of the pastors did not have a bible, and the one the old pastor had was really almost unusable. The Lord put it in Marc’s heart to purchase some bibles, including one for the old man. Later, we discovered the old pastor’s name is Charles. He is pastor of the Kyankole church, along with his sons Tomas and Godfrey. 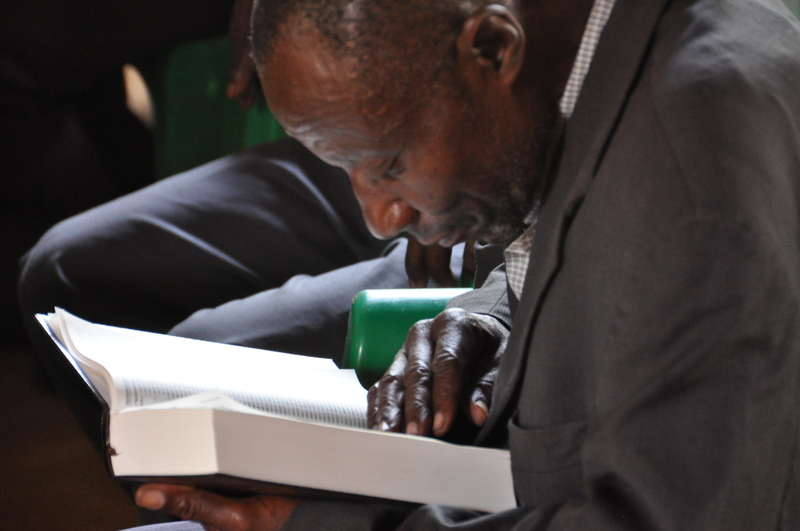 Upon his receiving his new bible, Charles with great joy, began to look and read through it. 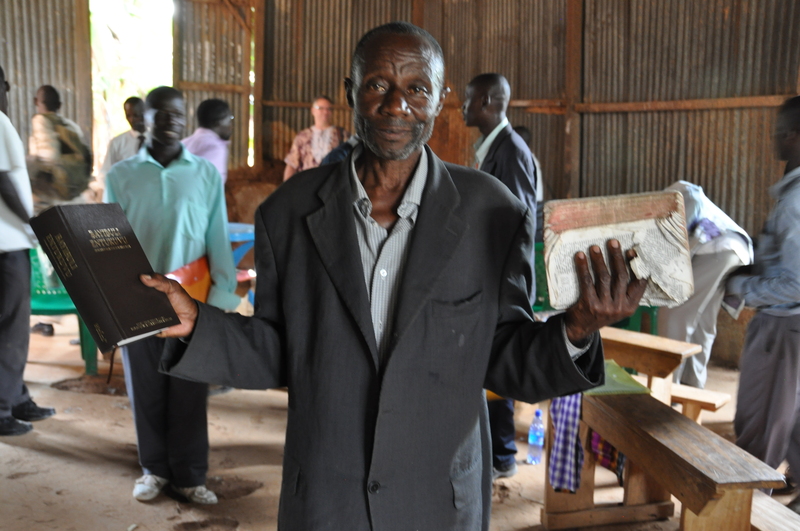 He was eager, to take his new bible, and the lessons from Nehemiah, and teach the new Christians at his church plant. Oh that we might treasure the Word and love it as David, who wrote the Psalm, and Charles, a simple rural bush village pastor in Uganda.